How accessible is your financial institution to your customers? In the past two years, Google has seen a 900% increase in “near me tonight/today” searches. 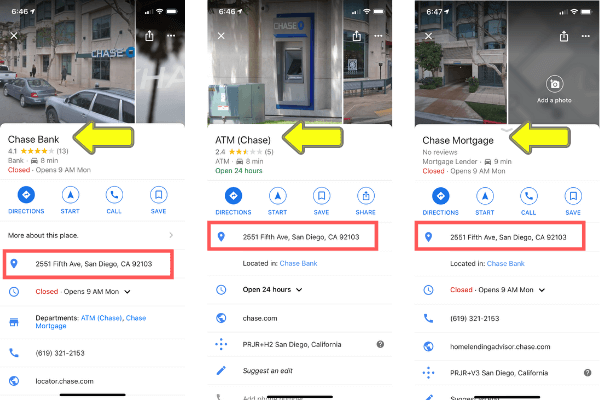 This rise in “near me” searches shows just how important it is for financial institutions to have accurate and high ranking business listings. From individual branches to ATMs to financial advisors and more, banks and other financial institutions have multiple listings they need to monitor. In the world of finance, trust is everything. Customers turn to ATMs in a moment of need, your ATM listings need to be accurate or it could cause them to lose all trust in your brand. If your customers can’t trust the information on your business listings then how are they supposed to trust you to manage their money? Here are the 5-steps a financial brand needs to take to manage their listings. 1. Start with a brand audit. In order to manage your listings effectively, you have to know how you’re currently performing. Chatmeter offers free brand audits to help brands get a better understanding of how their business locations are performing online. In this audit, you can see how your locations are ranking, which locations are missing information or not listed at all, identify duplicate listings, and even see how you’re performing compared to your competitors. A thorough brand audit will help benchmark your brand’s online visibility so you can make improvements. 2. Claim all your listings. Did you know that financial institutions can have more than one listing at a single location? Unlike other brick-and-mortar storefronts, financial institutions can have multiple listings at the same location. A single branch can have a listing of their own, an ATM listing, and even listings for professional services provided within the branch such as a financial planner. By failing to claim all your listings, even if they belong to the same address, you can be losing out on thousands of potential customers. If you have yet to claim any business listings, start with the tier one sites; Google, Facebook, Yelp, Apple Maps, Foursquare, and Bing. These are the main sites people use to search for a business. 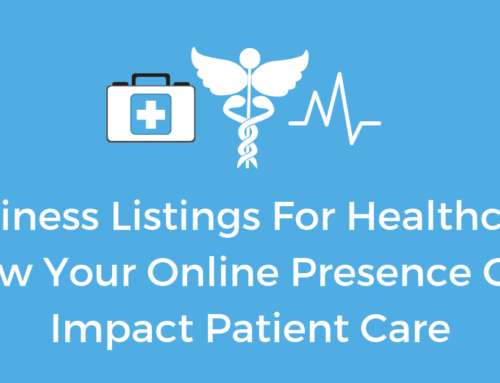 When claiming a listing you’ll want to include your business name, address, phone number, website, category, business hours, and an accurate description. This information is known as NAPWCHD. To improve your listing credibility you’ll want to claim tier 2 listings as well and work with data aggregators to claim listings on smaller online directories. By claiming all your listings and keeping your information accurate, you’ll build trust with search engines to improve your rankings. Example of a single location with multiple listings for each service. 3. 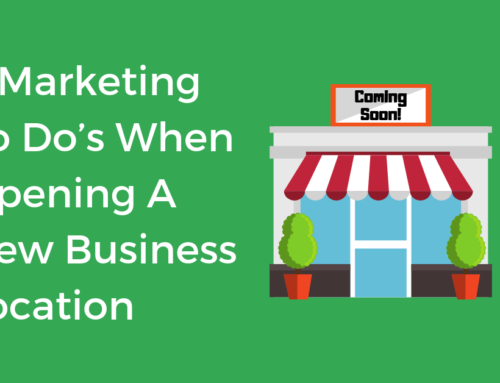 Create a strategy for managing local business listings. 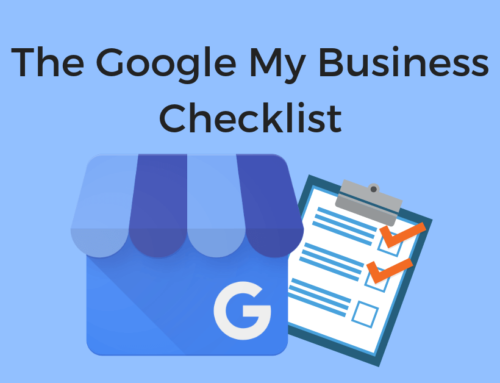 Once you’ve claimed all your listings, you’ll want to establish a strategy for managing them. Multi-location brands have a choice between managing all their locations at the corporate level or individually at the local level. This means additional training if you choose to entrust local branch managers to maintain their local listings. Most multi-location brands turn to a listing management platform, like Chatmeter, to help monitor listings for inaccuracies. Tools like Chatmeter’s Workflow can help corporate offices work with local branch managers to ensure both consistency and accuracy at every location all from a single platform. Claiming your listings is one thing, but if you want customers to visit your ATM or local branch, you need to rank high enough for them to find you. You can optimize your listings by adding photos, choosing the right category keywords, using Google Posts on GMB listings, responding to reviews, and answering questions from the public. Optimize your listing even further by setting up appointment booking and messaging to encourage customers to contact you. You’ll want to monitor your listings over time and make sure you’re making improvements both online and in-branch to keep your financial institution ranking high. Reviews impact your rankings by 15%. Make sure you’re consistently responding to reviews and making improvements to the customer experience based on the feedback found in reviews. By improving customer experience through digital channels, the largest global banks and insurers saw shareholder value grow by an average of 10% per year. Providing your customers with a consistent and seamless online to offline customer experience, you’ll not only gain the trust of current customers but you’ll earn new ones as well. This all starts with accurate and easy to find business listings. 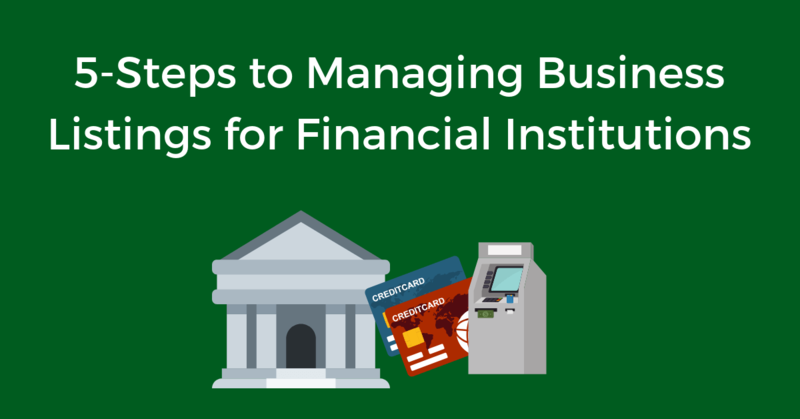 Managing multiple listings for your financial institution is not easy when done manually. Trust a listing management software, like Chatmeter to help you manage your listings efficiently. Whether you want to take a hands-on or hands-off approach to managing your financial business listings, Chatmeter has a solution for you. Schedule your free brand audit today to learn more.